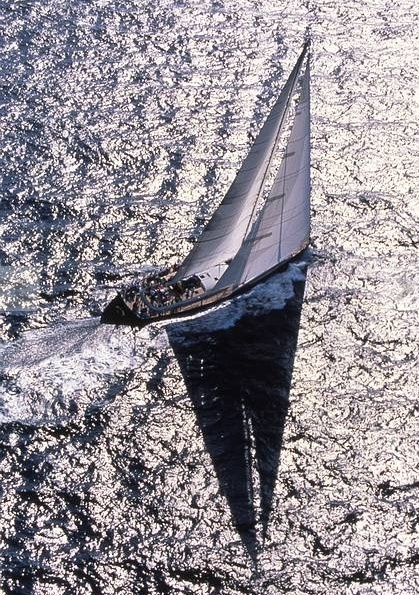 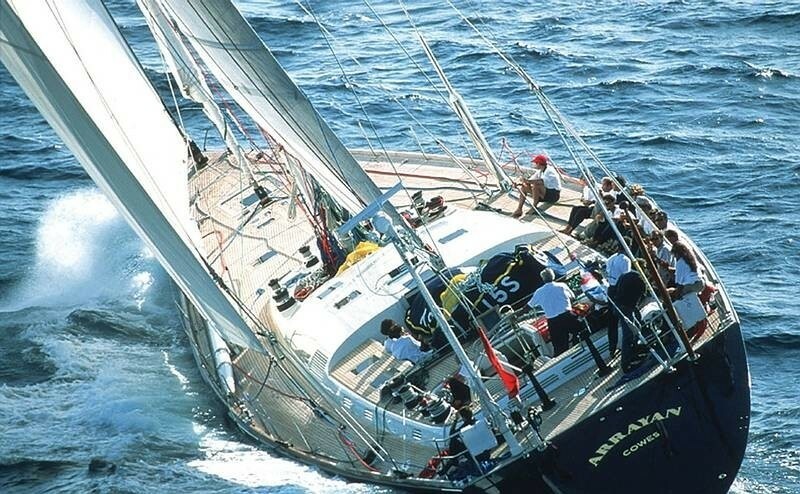 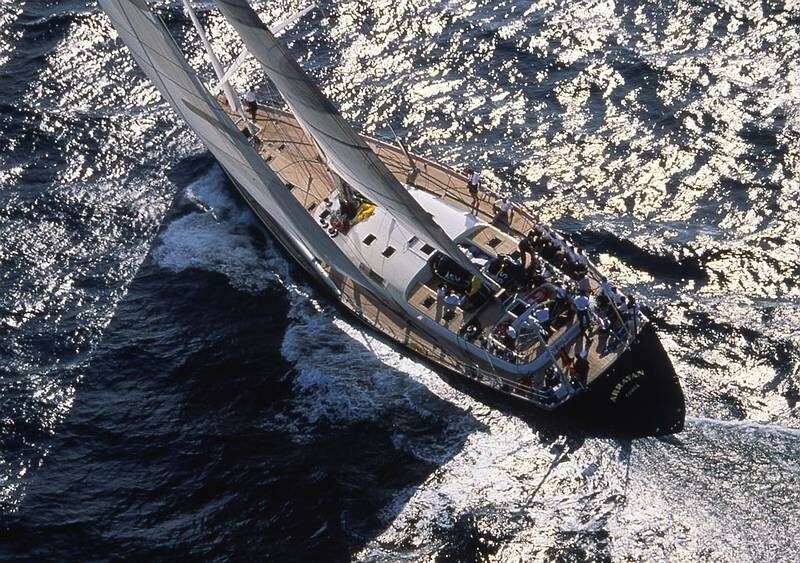 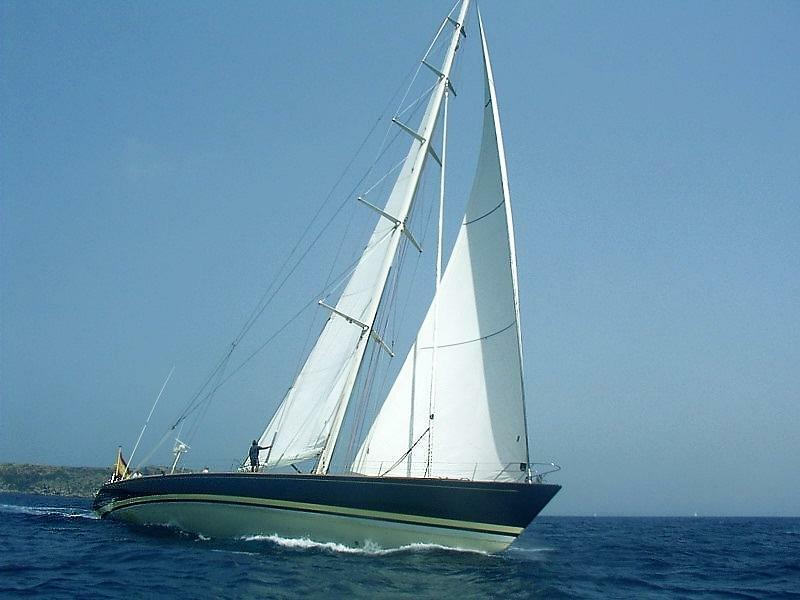 Sailing yacht Baiurdo VI (previously "Arrayan III") is a 34.00m (111' 6") yacht built by Abeking & Rasmussen in 1992. 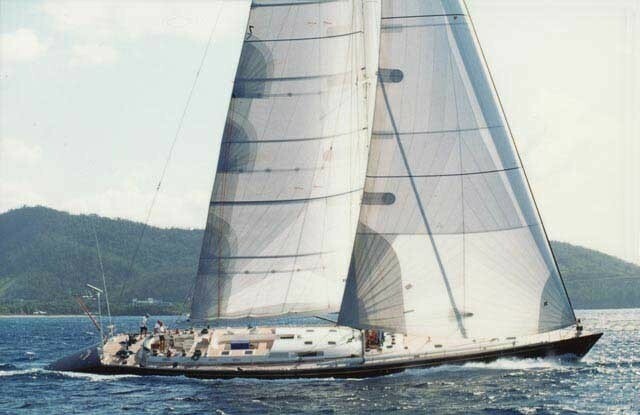 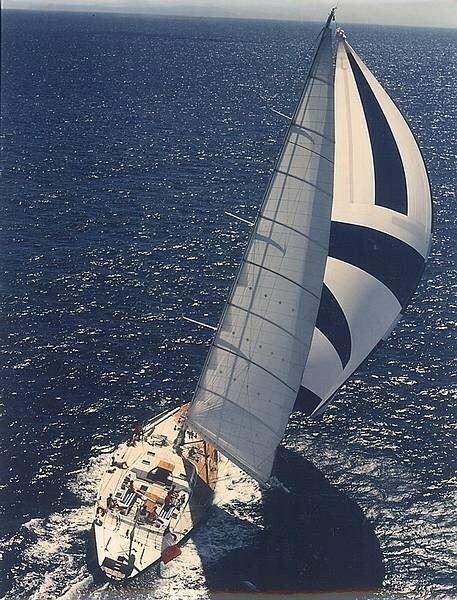 This fast aluminium sloop designed by French designer Giles Vaton caused a stir in the superyacht world when she was launched in 1992 and still turns heads today. 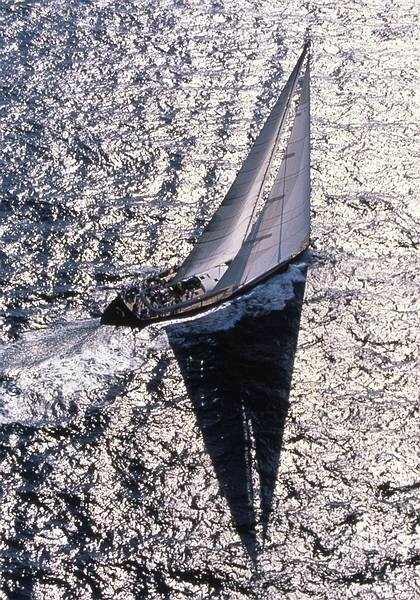 She was ahead of competition maxis of that period. 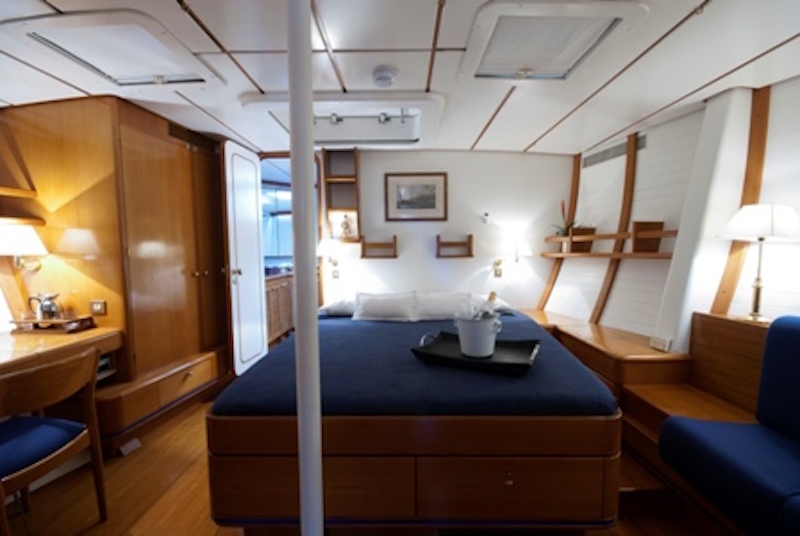 MAIN FEATURES: ~ Cabin configurations ideal for families with children ~ Inviting atmosphere ~ Lovely interior decor ~ Alfresco dining ~ Water toys ~ Stern platform for easy access to the water. 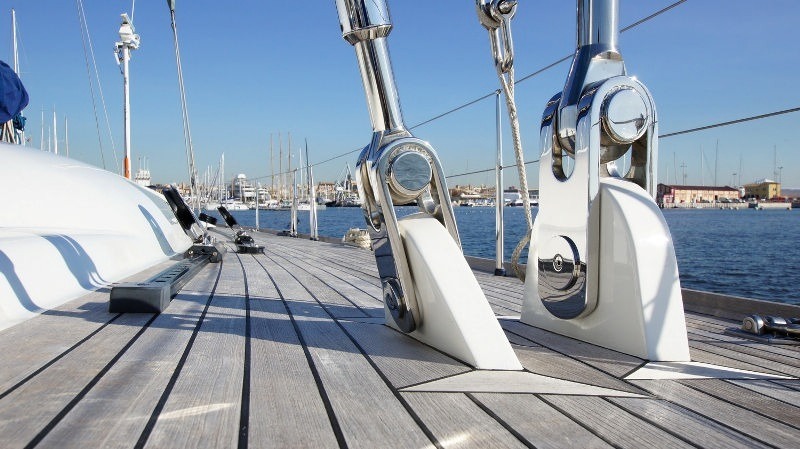 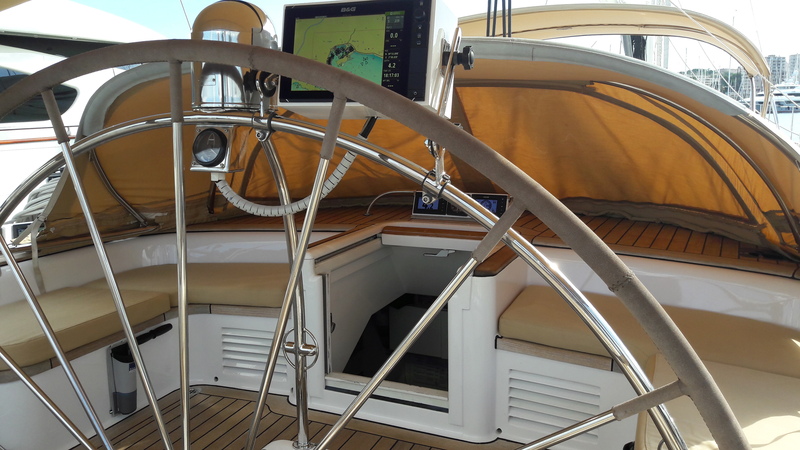 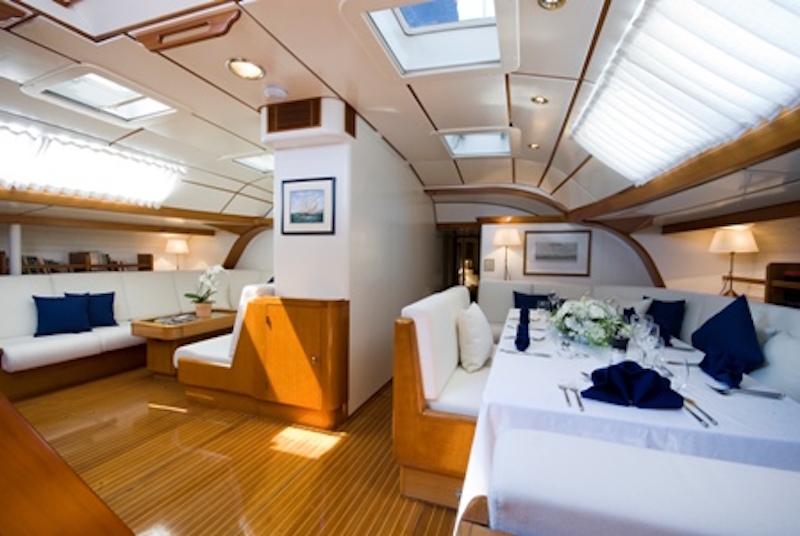 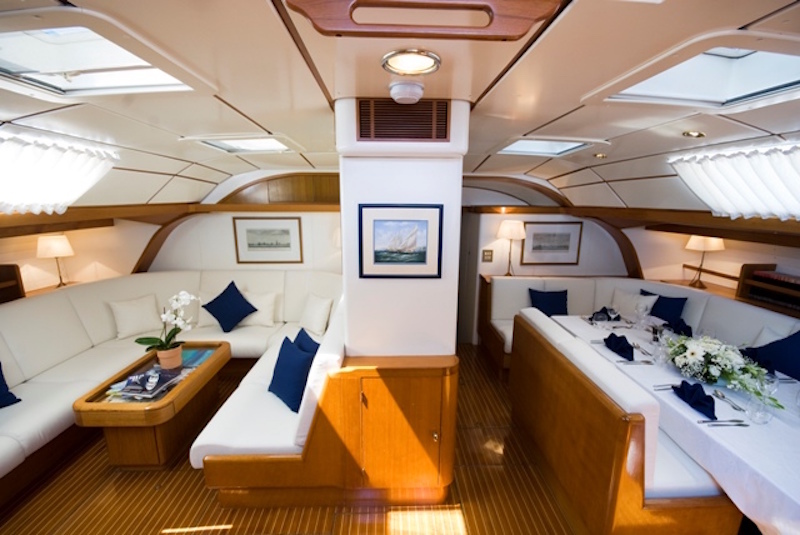 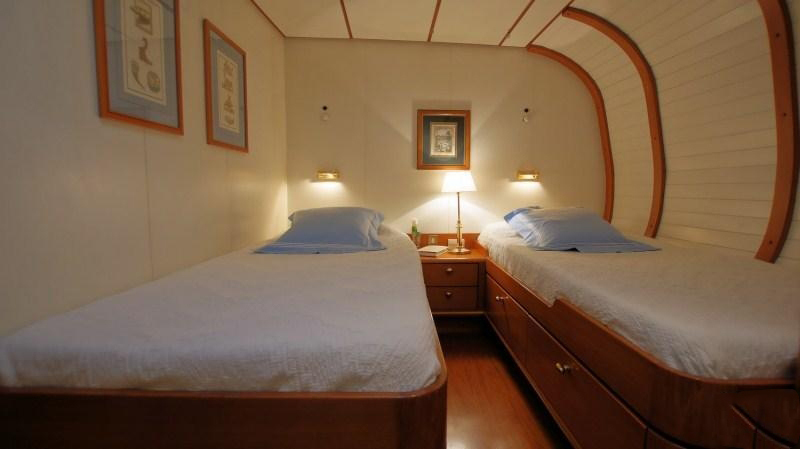 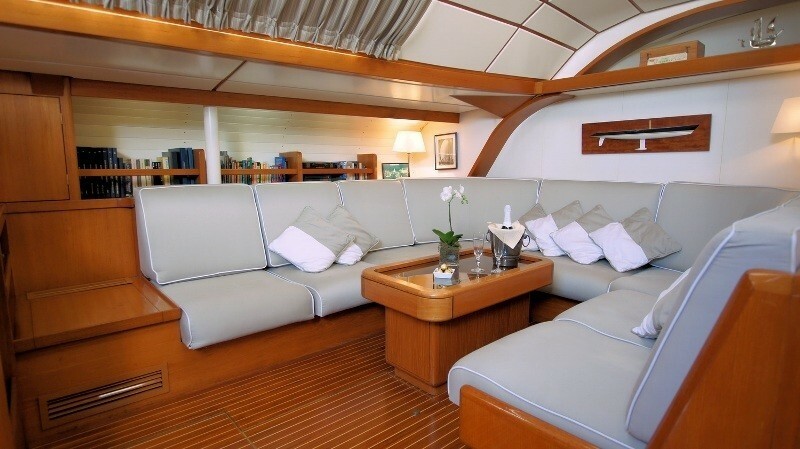 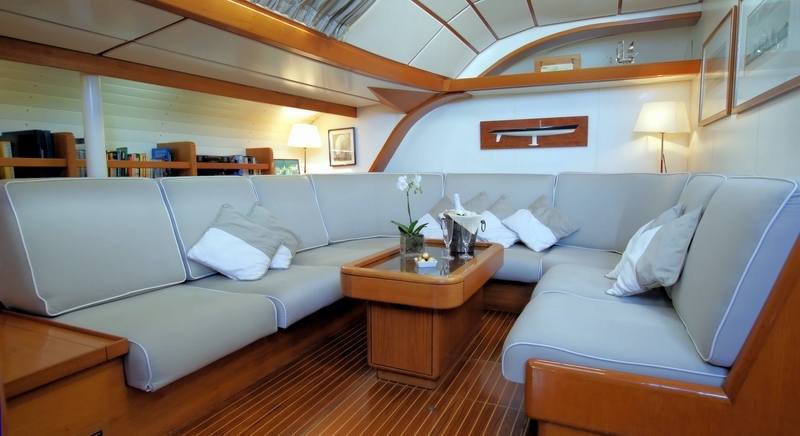 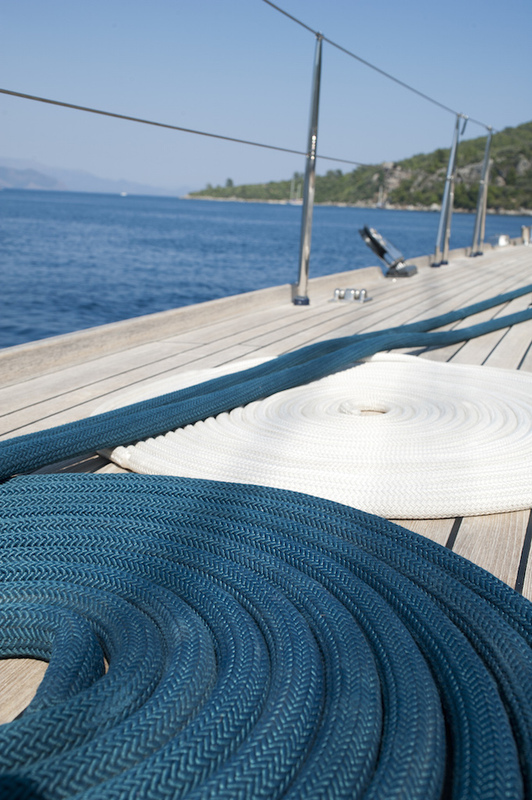 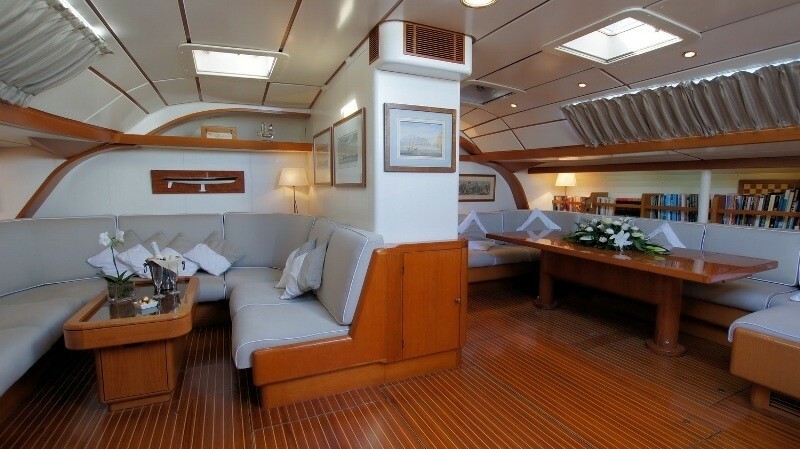 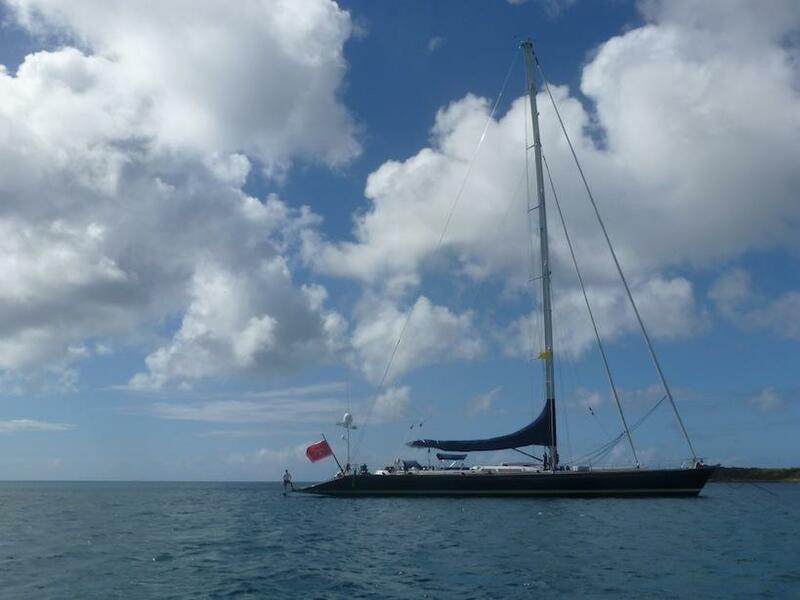 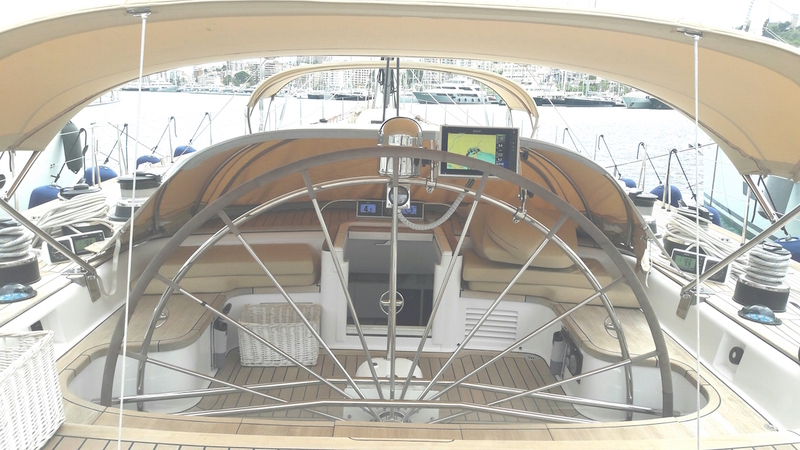 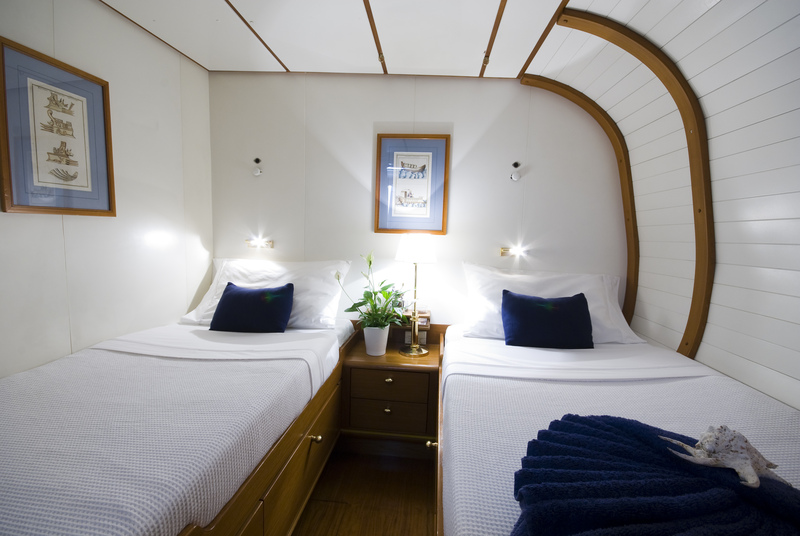 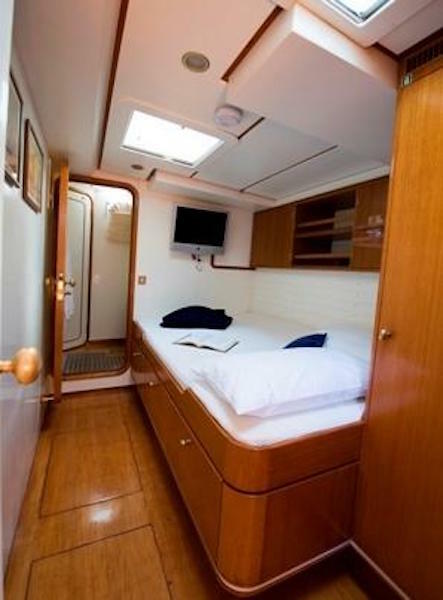 S/Y Baiurdo VI features elegant sleek exterior lines that are matched by a lovely light airy interior. 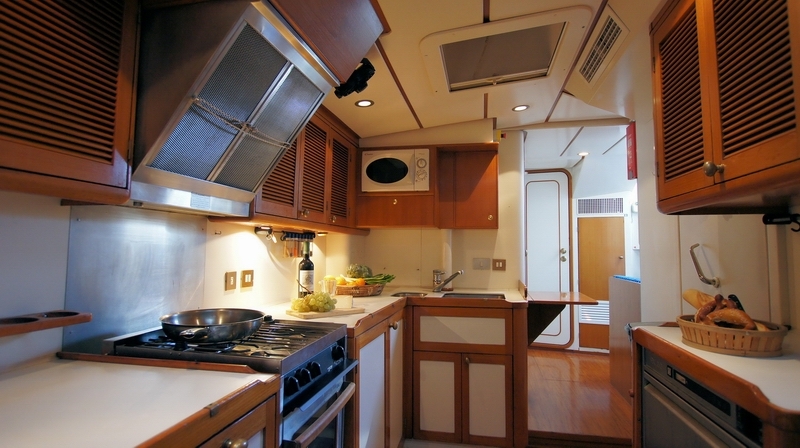 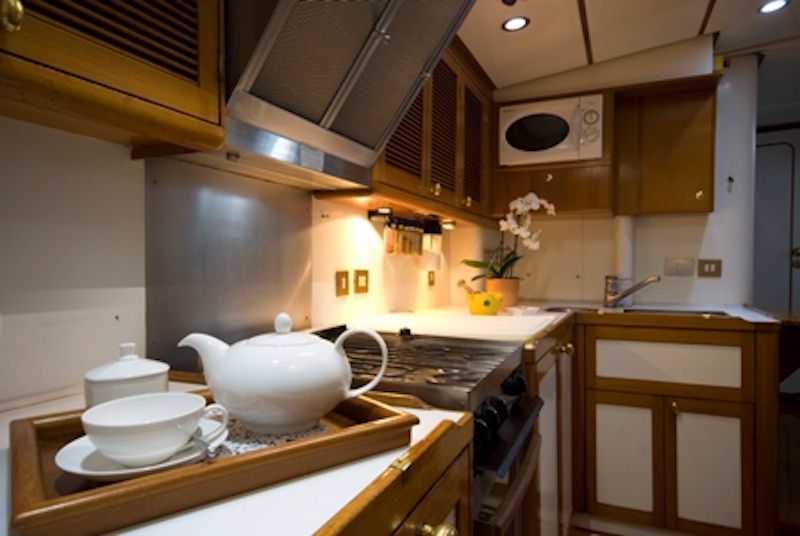 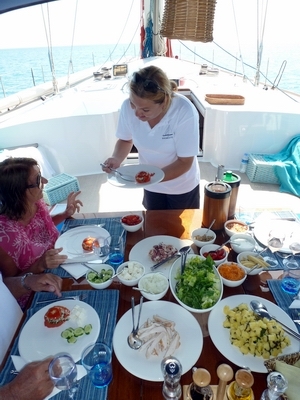 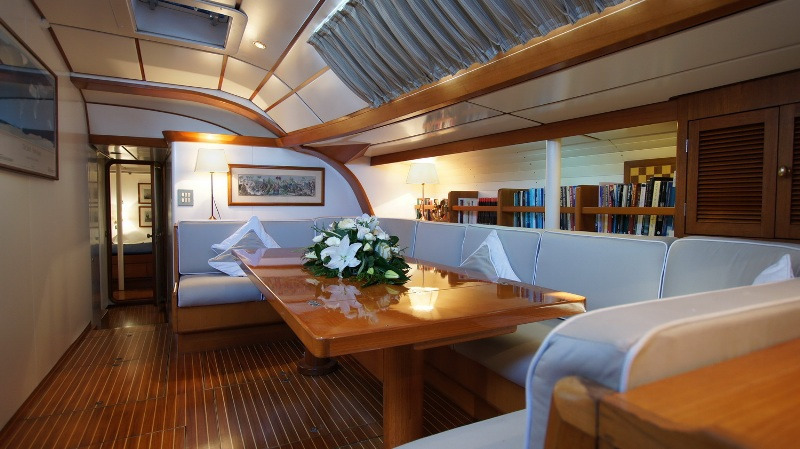 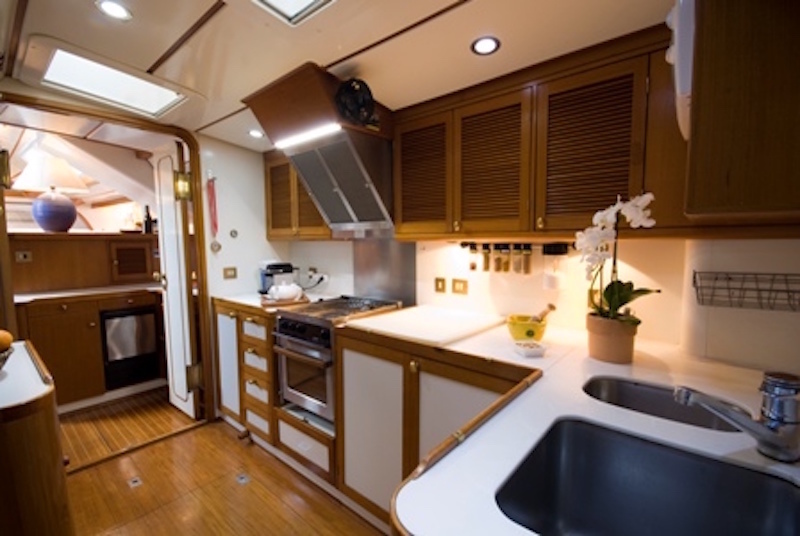 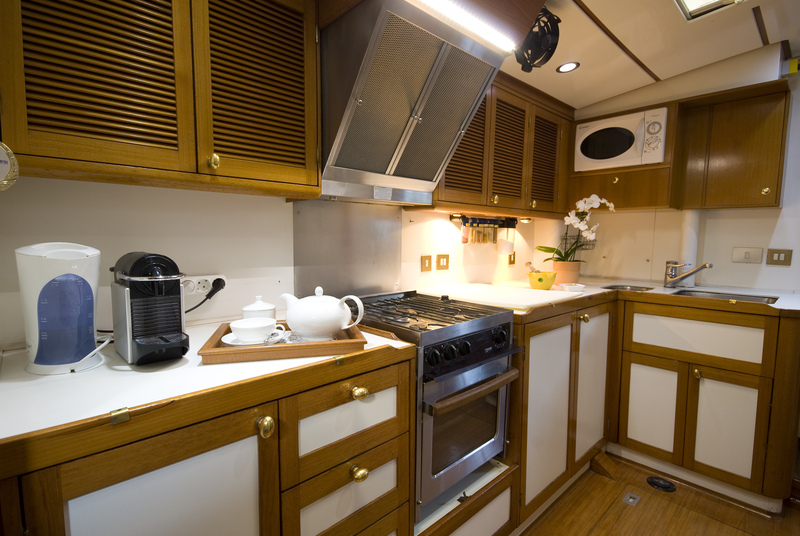 Her large spacious open plan salon and dining area with comfortable seating, coffee table and dining table for eight guests lead onto the galley where the crew prepare delicious meals for their guests. 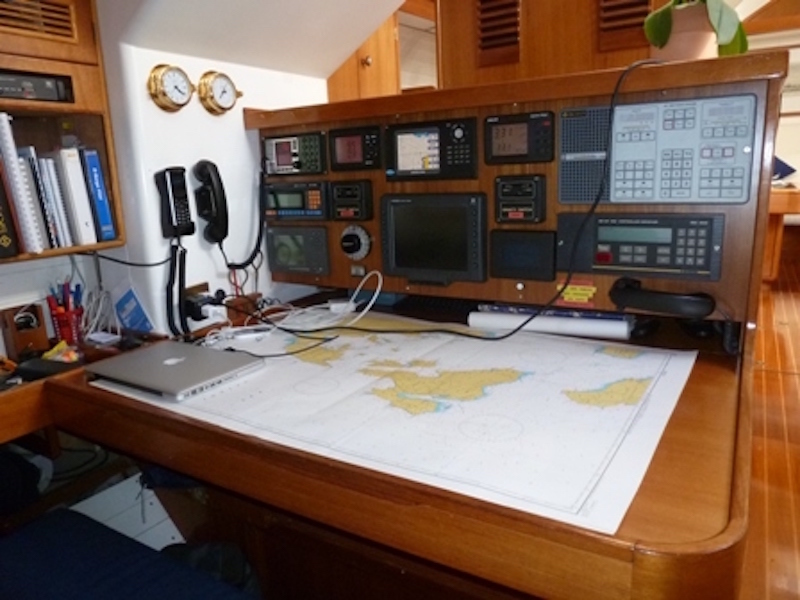 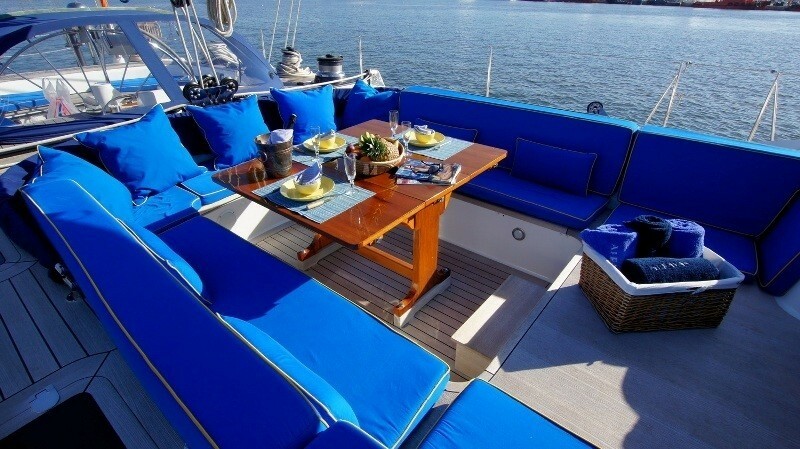 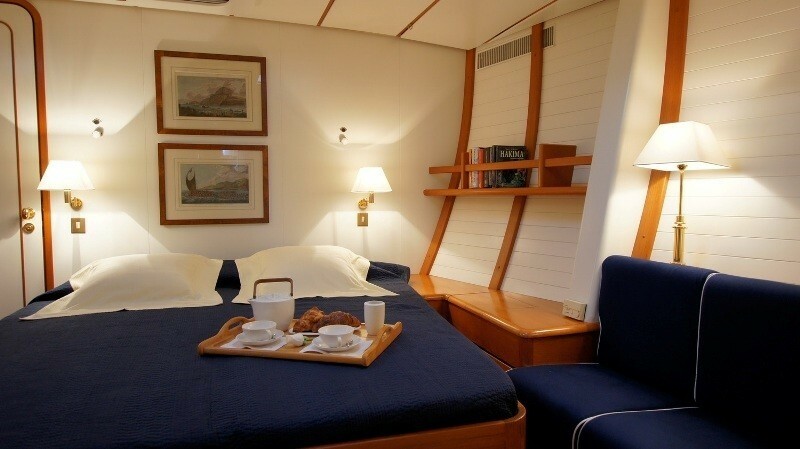 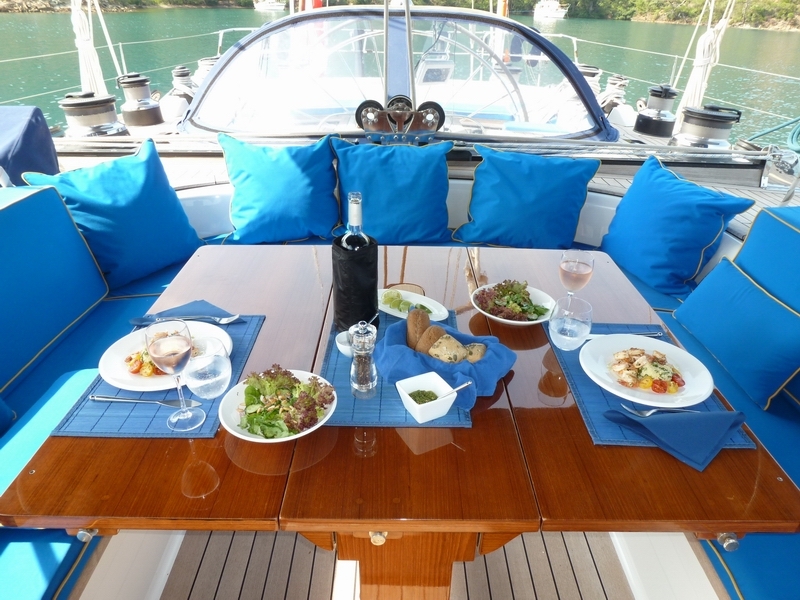 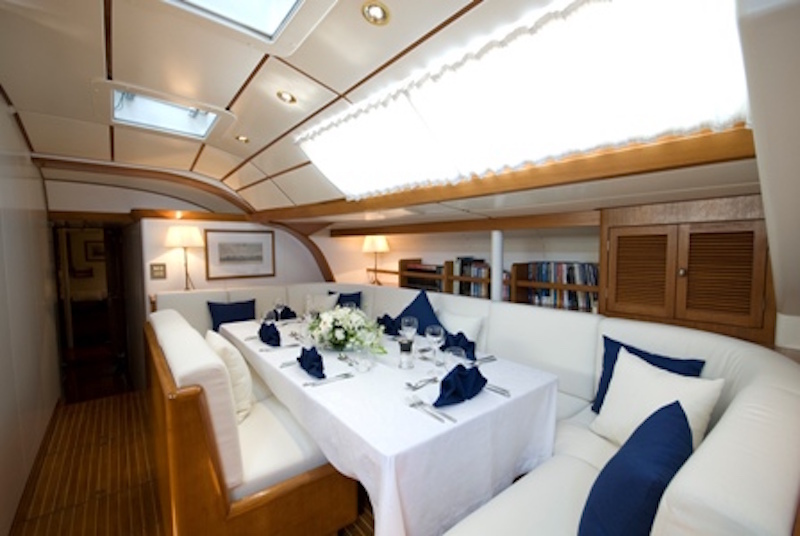 It is also possible to dine al fresco on deck at the centre cockpit table which seats six guests in comfort. 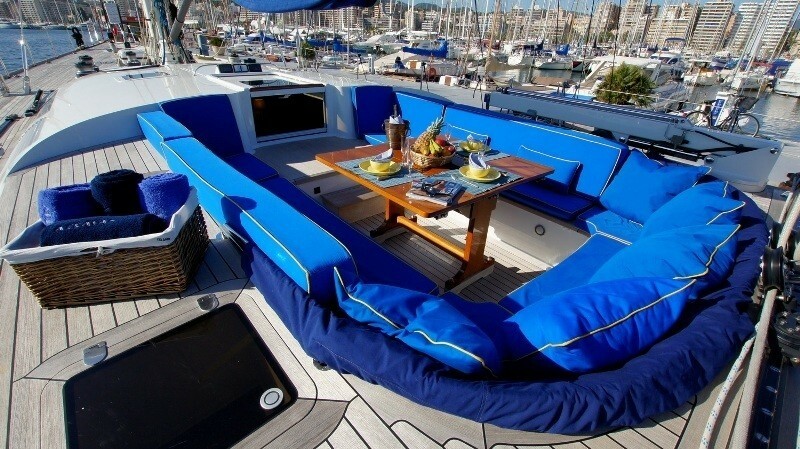 There is a fixed canopy for shade during the day. 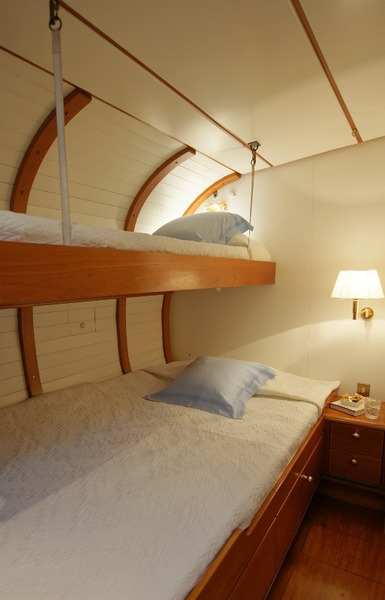 She can accommodate up to 6 guests or 8 guests if a family, in a Master double, a VIP twin, a Single guest cabin with an upper bunk and a Staff/Nanny/Children’s cabin with compact WC/Shower ensuite. 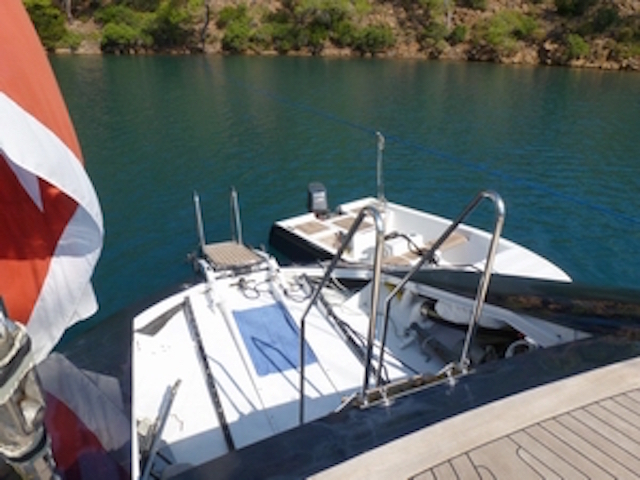 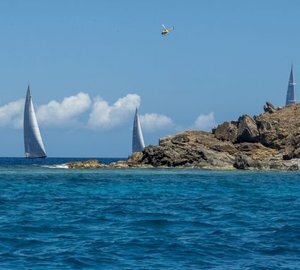 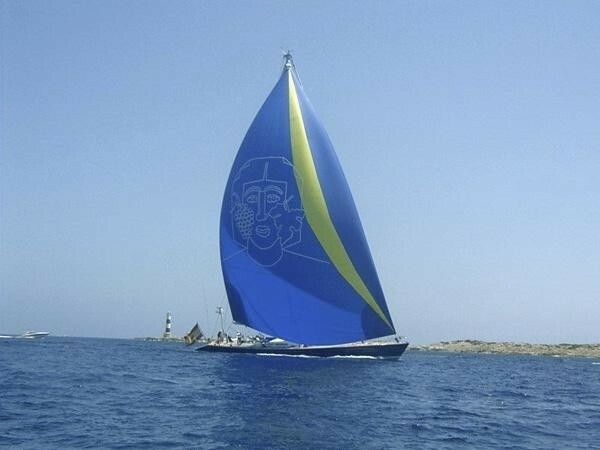 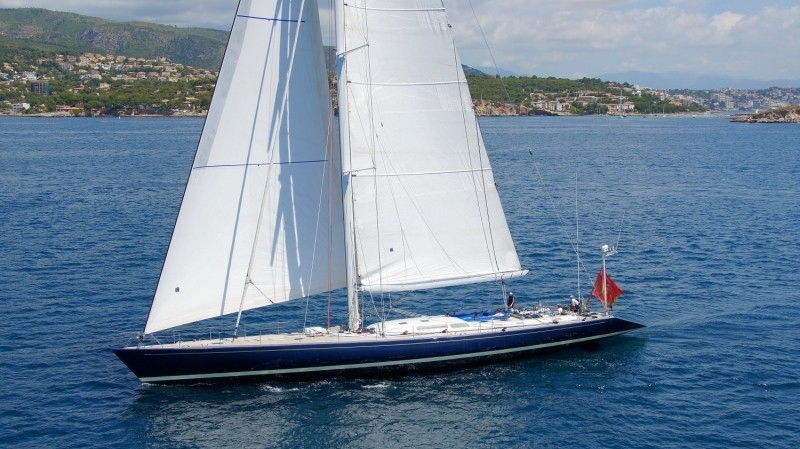 The original Spanish owner who commissioned sailing yacht Baiurdo VI wanted a fast yacht with which he could enter sailing regattas but could also offer safe cruising for his family. 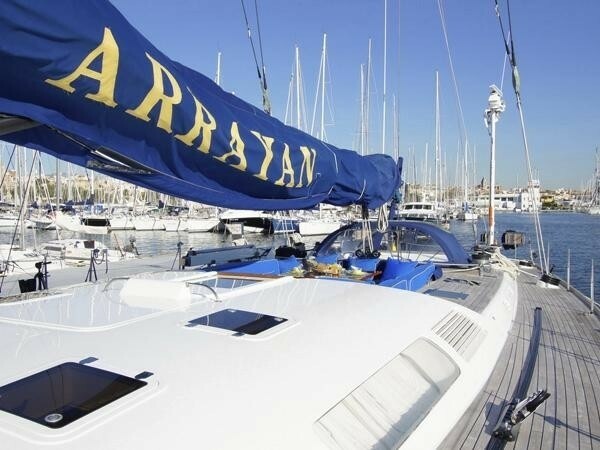 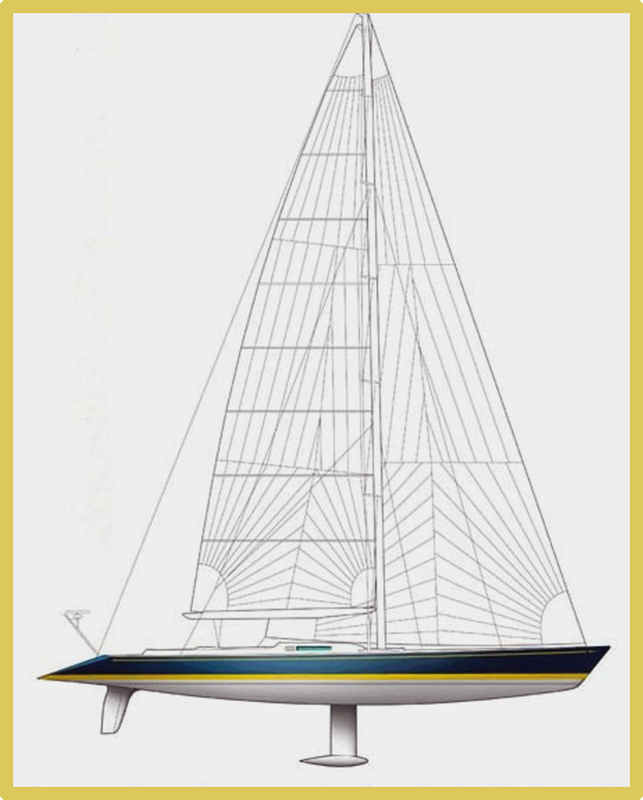 Originally named 'Arrayan II', the yacht successfully circumnavigated the world and has entered several sailing regattas and races. 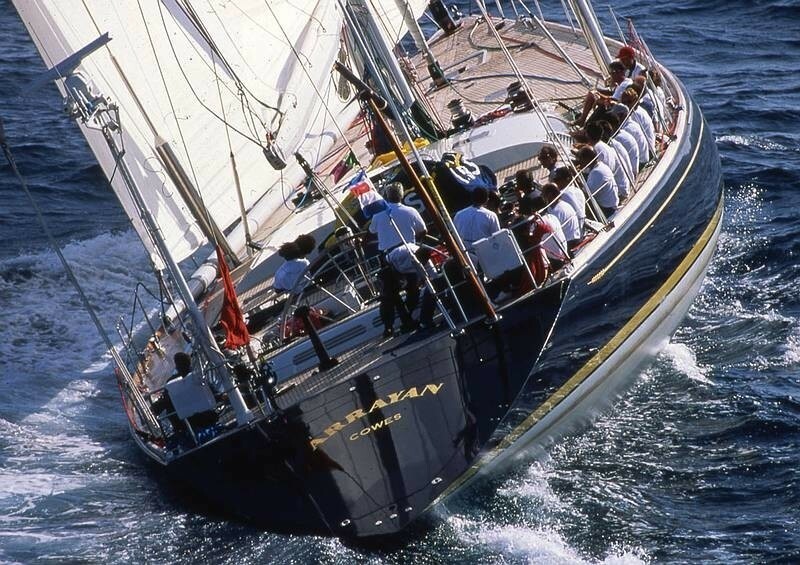 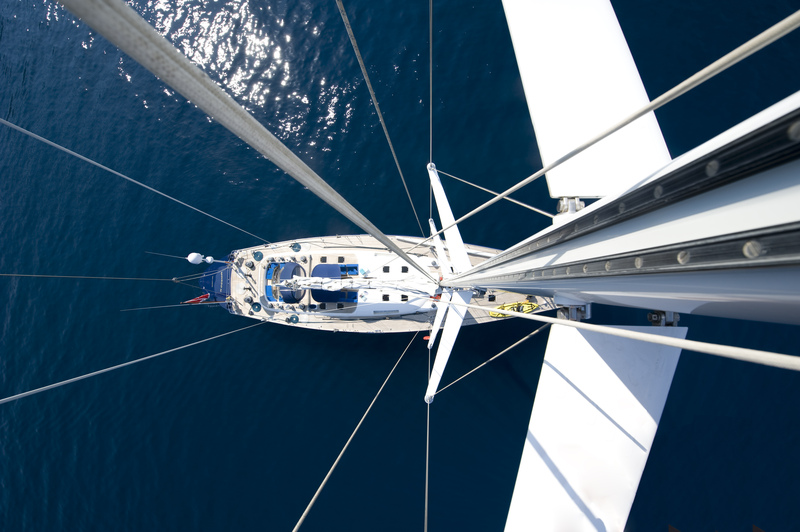 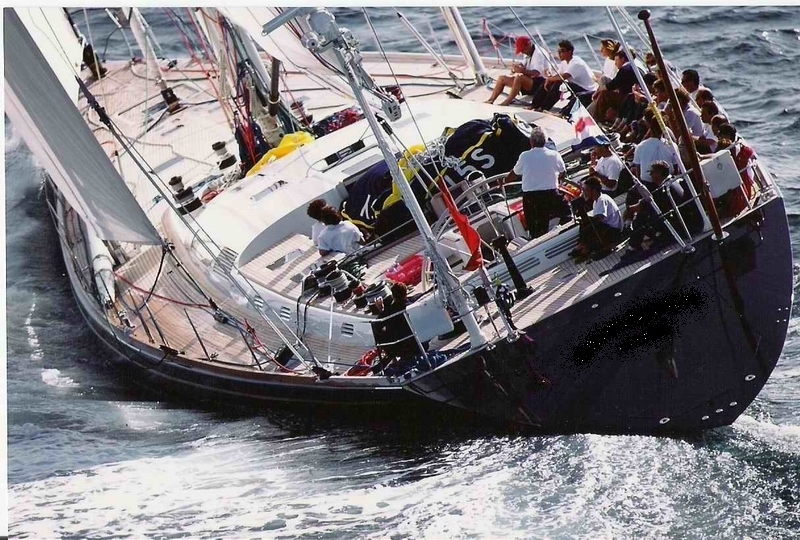 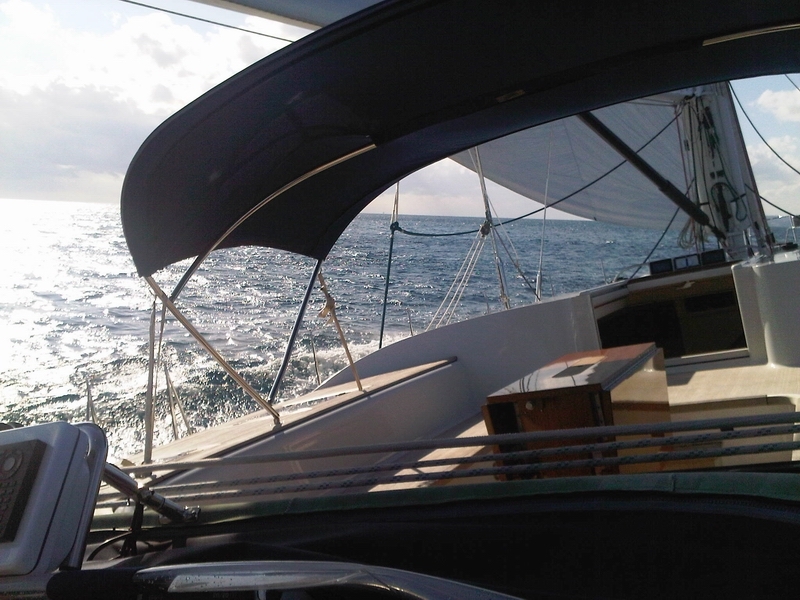 The current owner continues this tradition of sailing the world’s oceans and racing onboard this amazing yacht. 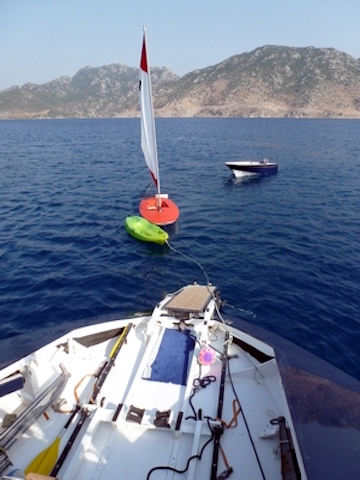 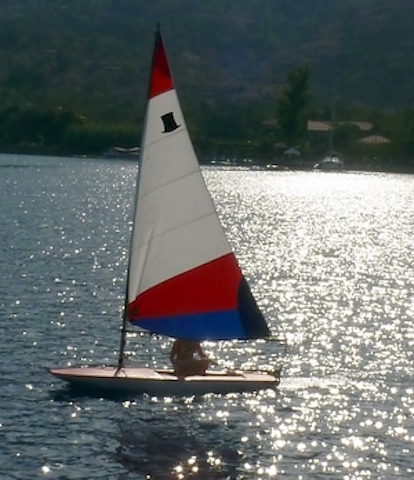 Complete with 2 kayak canoes, waterski, kneeboard, snorkel gear and Topper sailing dinghy - there is plenty to keep all entertained. 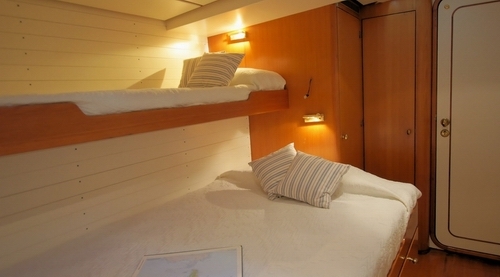 There is easy access to the sea via the stern platform. 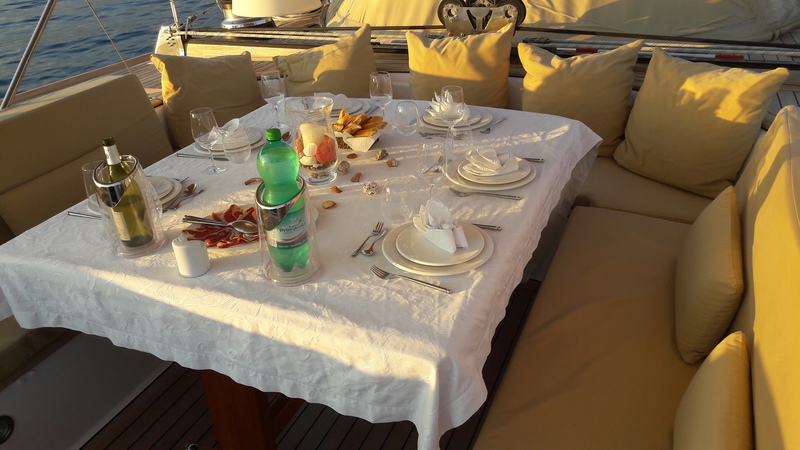 A unique combination of safety, performance, quality and style – the Baiurdo VI sailing yacht is ready to set sail with her guests. 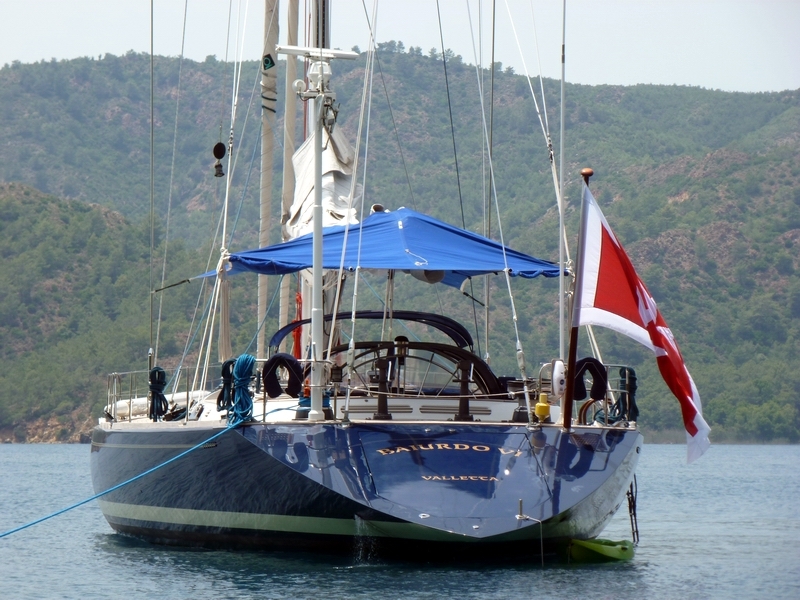 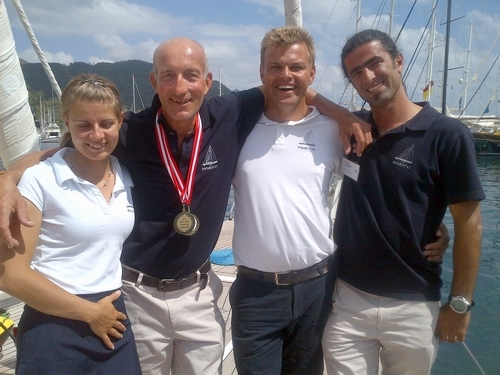 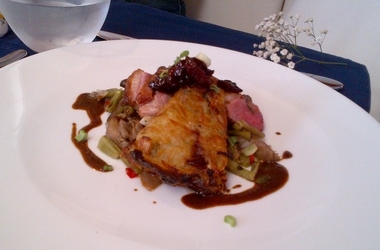 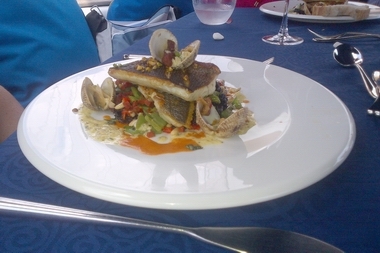 At the 2012 Marmaris Yacht Festival sailing yacht BAIURDO VI was voted 'Most Beautiful Sailing Yacht in the Show', and Chef Nicholas was awarded the 3rd place in the hotly contested Chefs Competition. 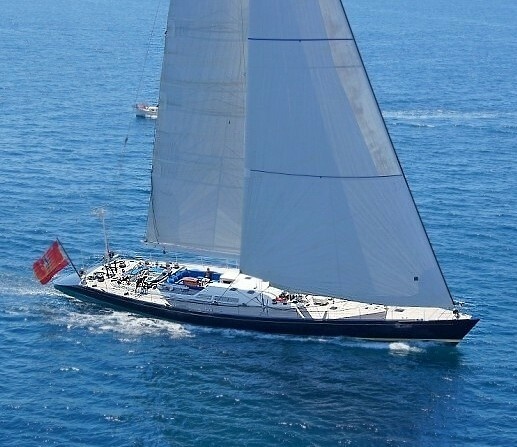 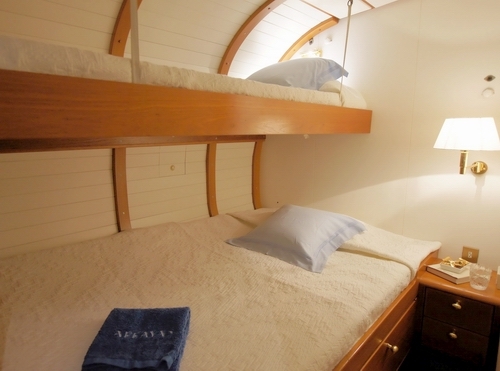 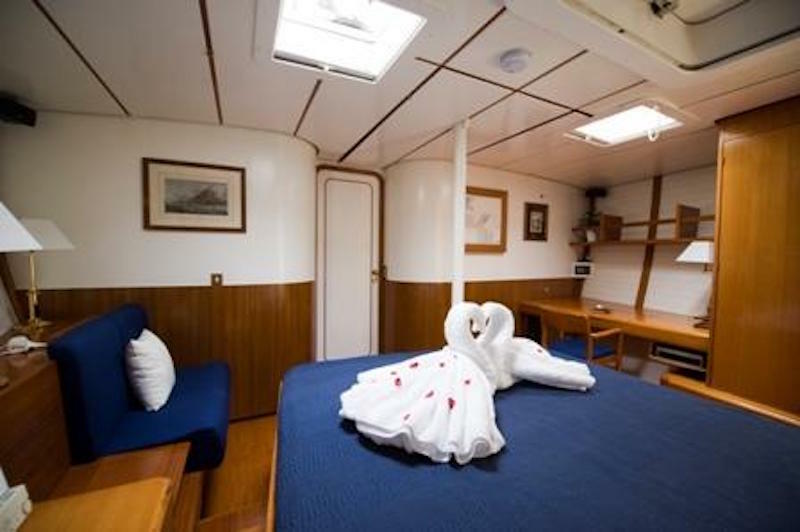 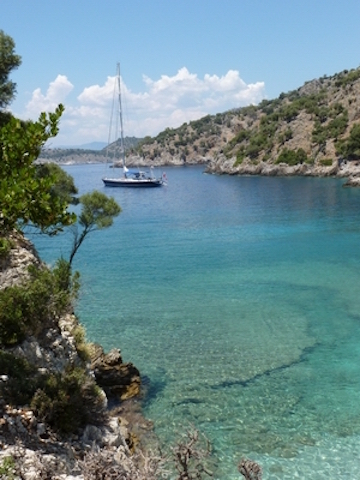 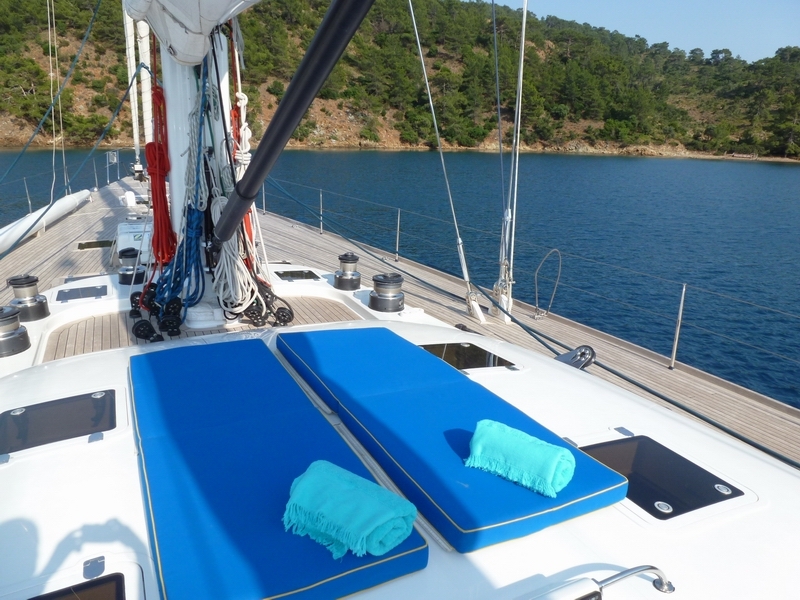 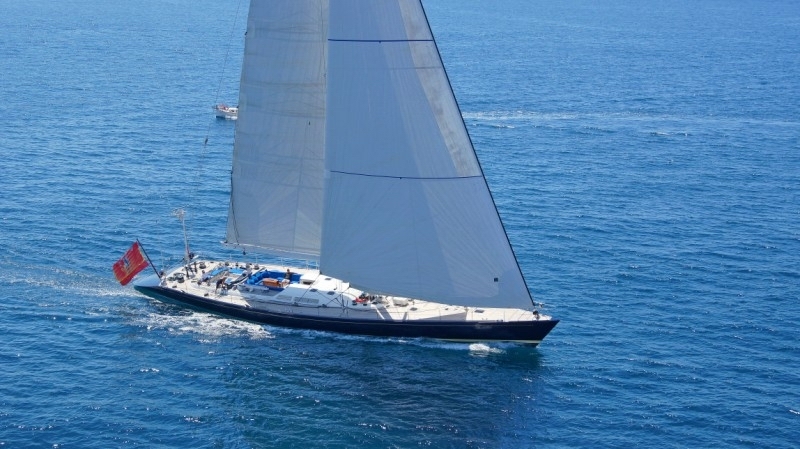 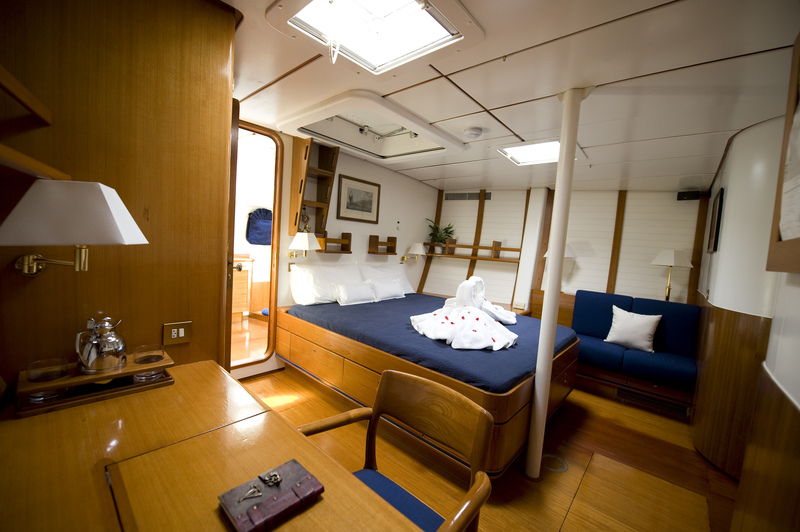 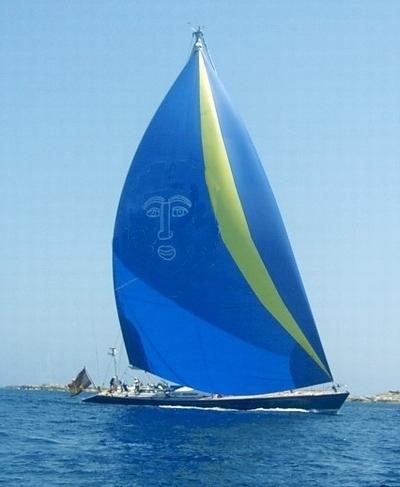 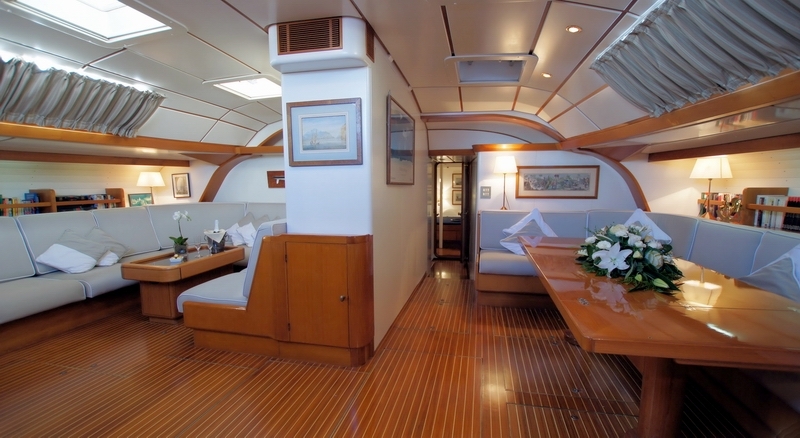 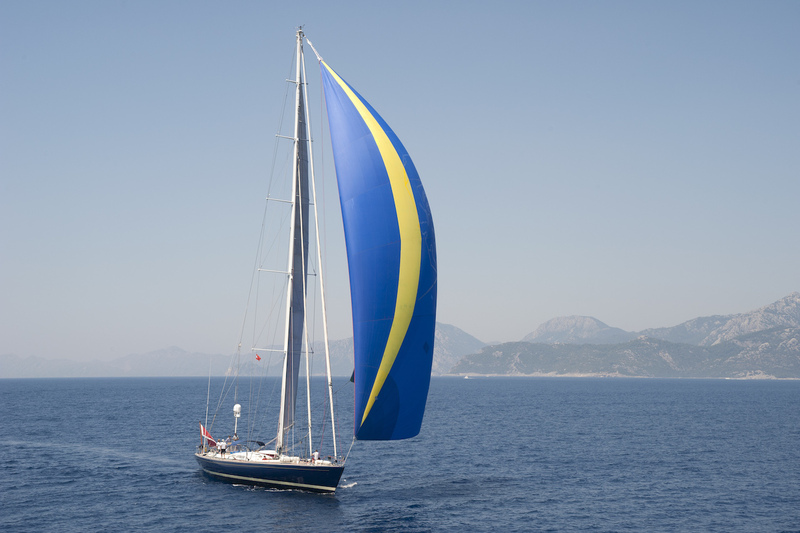 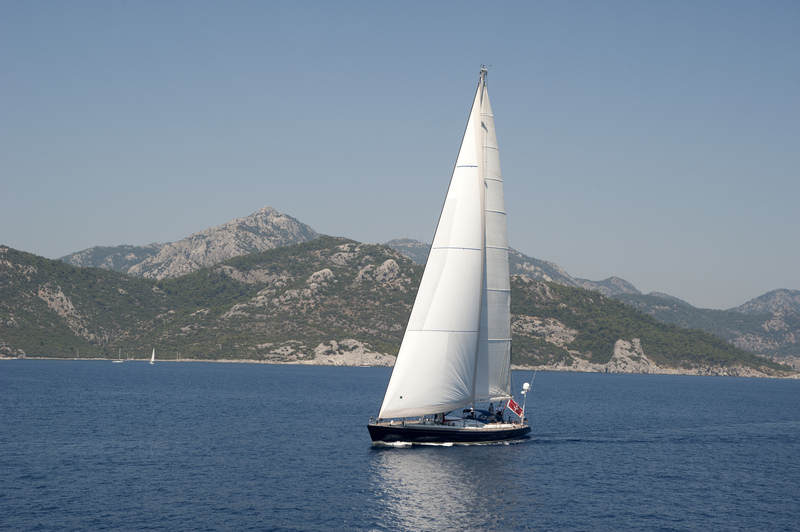 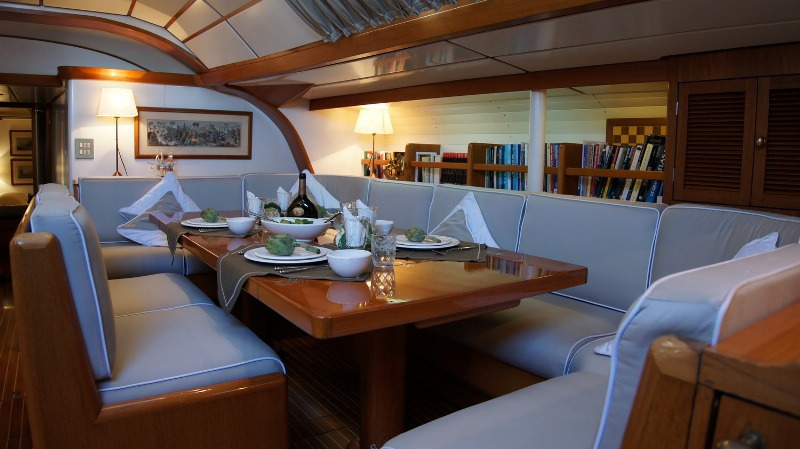 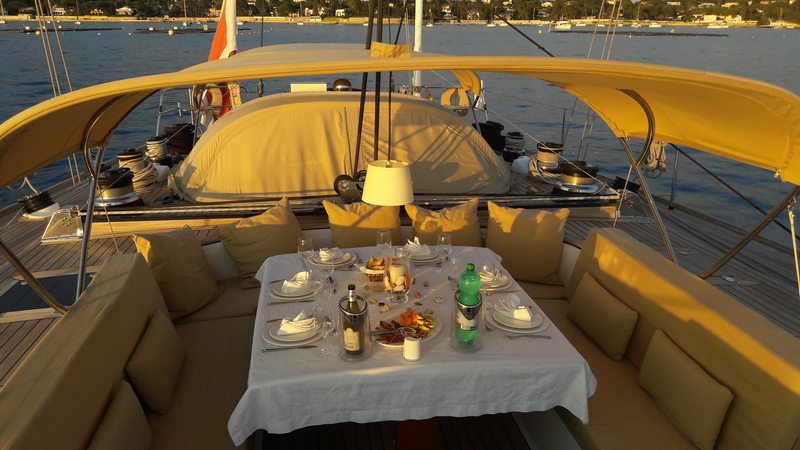 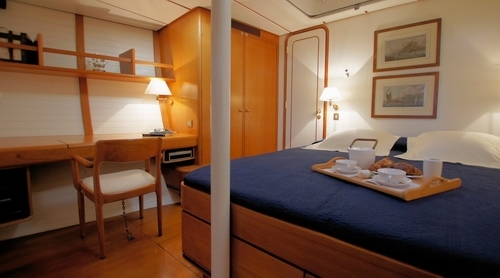 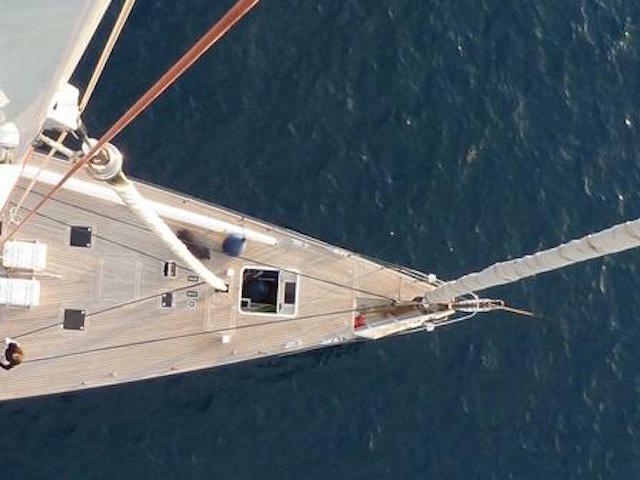 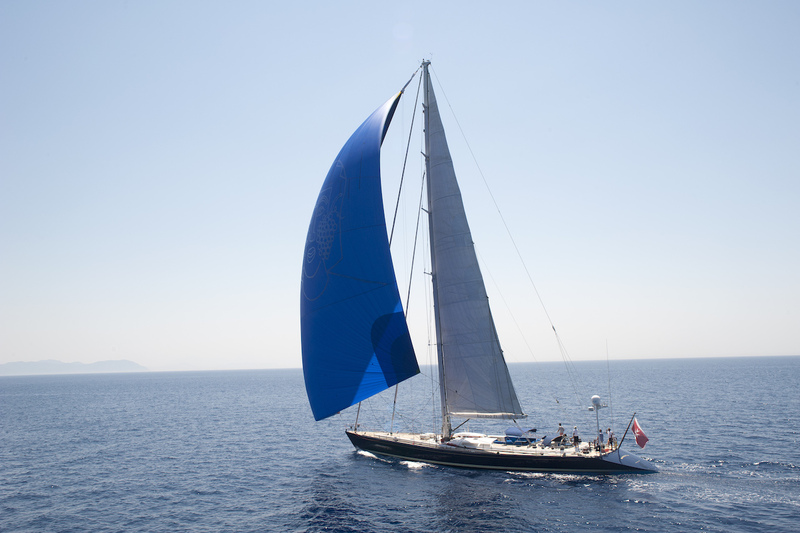 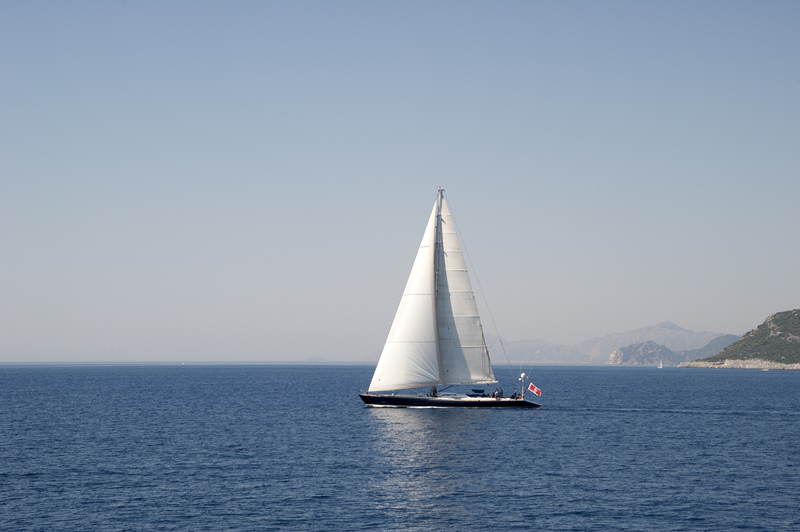 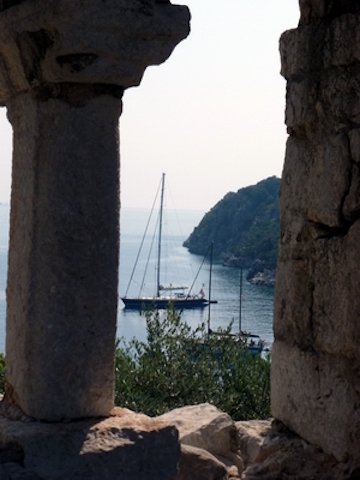 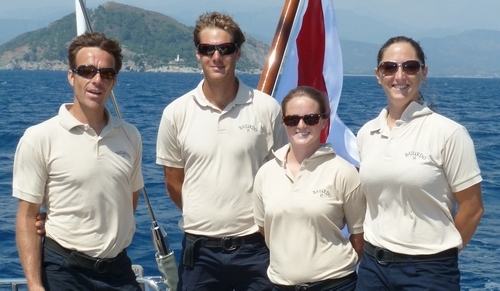 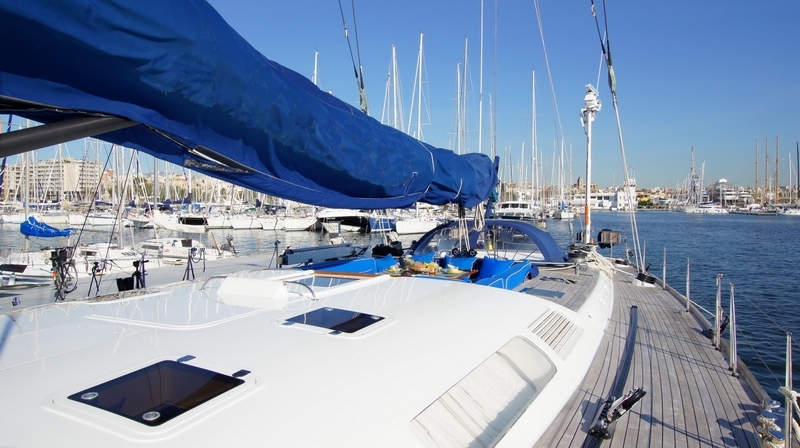 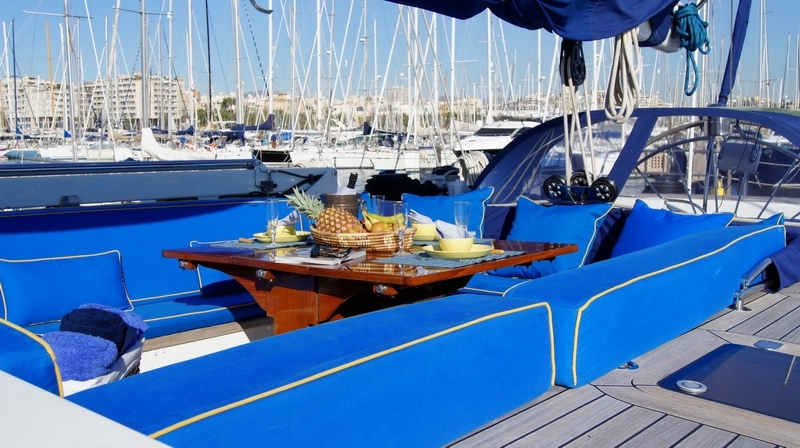 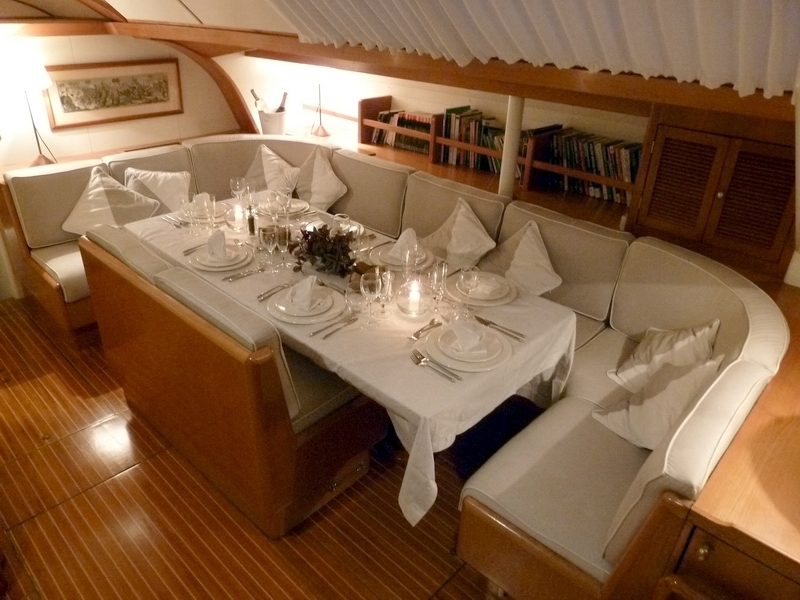 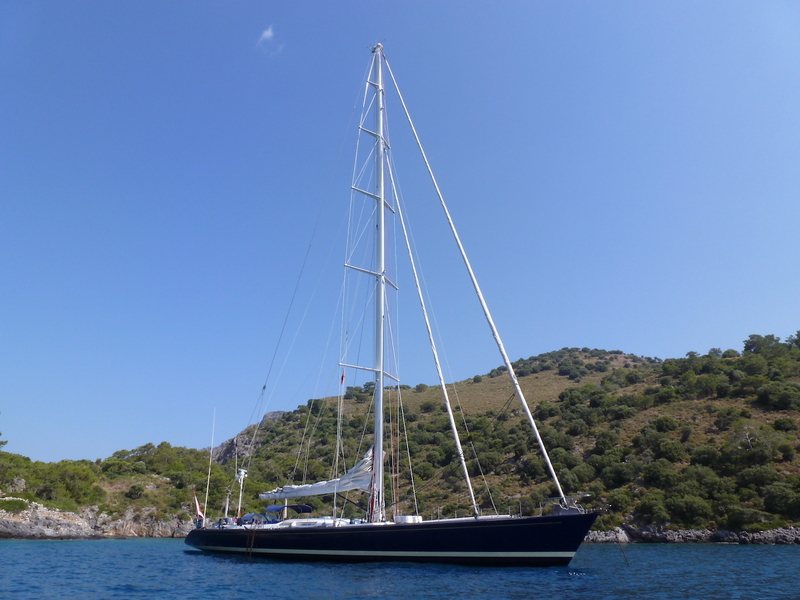 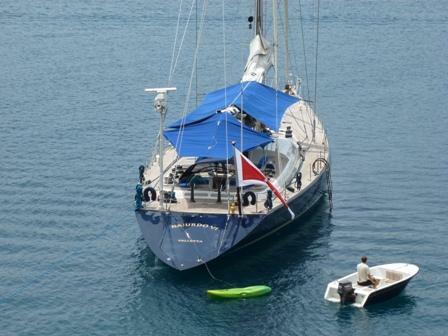 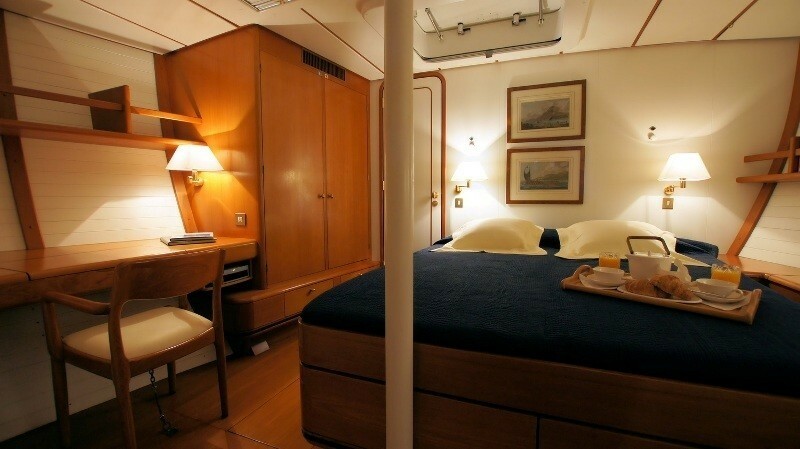 Sailing yacht Baiurdo VI can accommodate up to 6 guests or 8 guests. 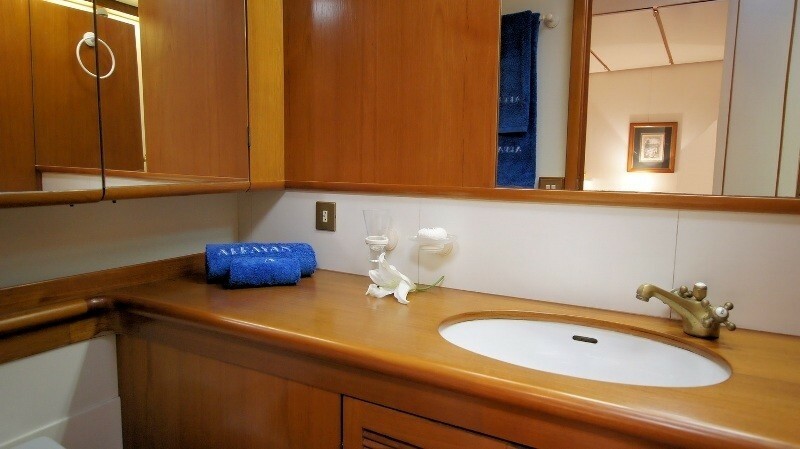 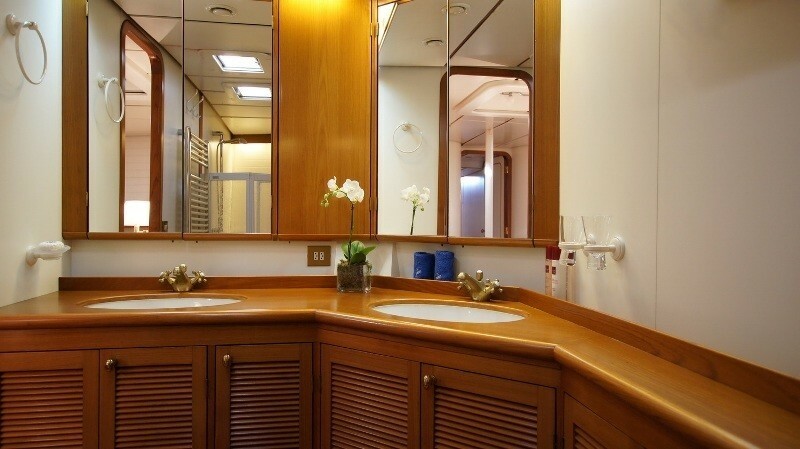 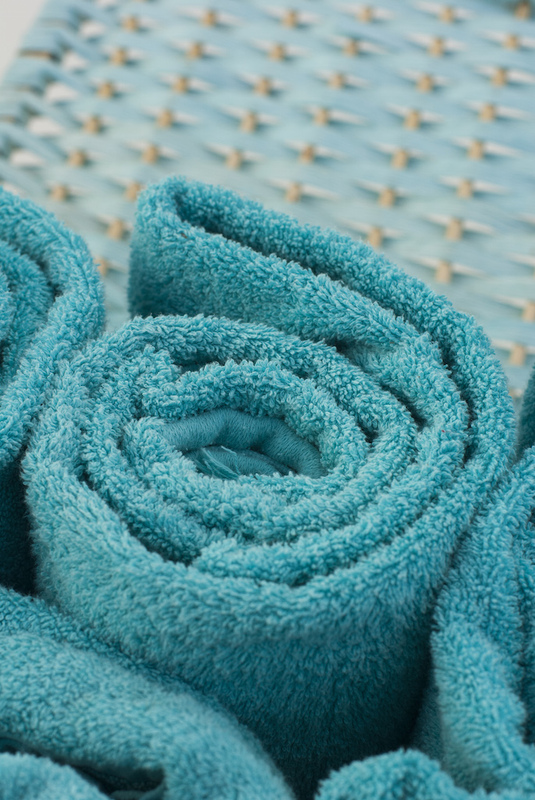 The Owners suite situated forward is full beam and also has a full-width bathroom with shower and basin. 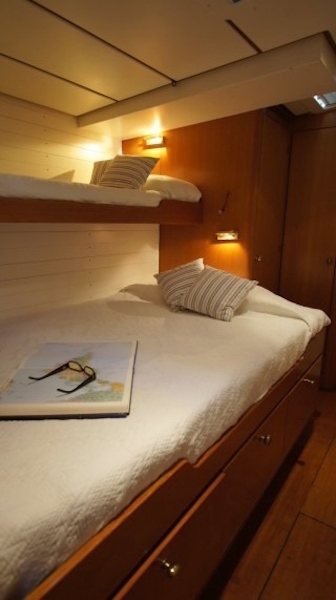 The cabin is well appointed with a large hatch for light and fresh air. 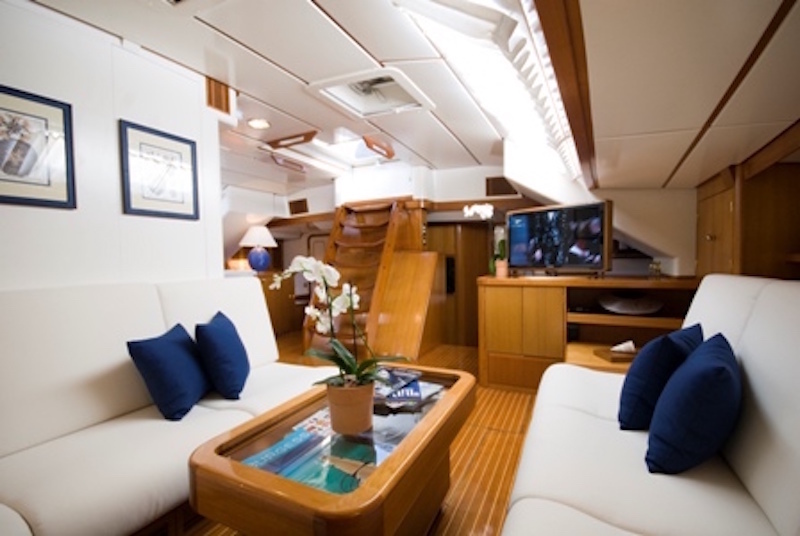 There is also a Bose music system, TV, a little sofa and writing desk. 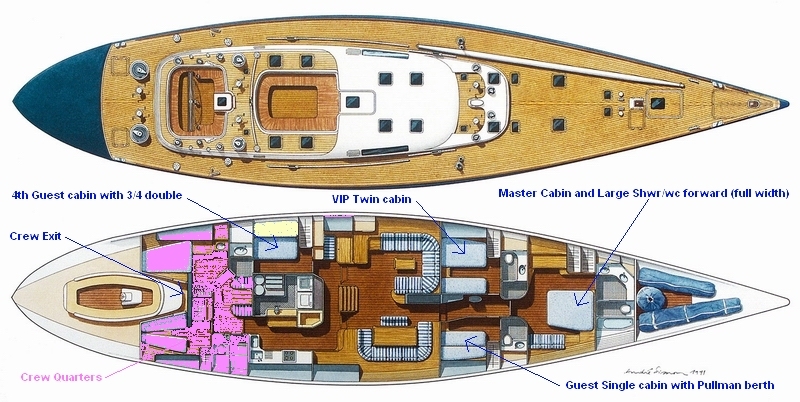 Also, forward a VIP twin cabin leads off the passage as well as the Guest cabin with a large single bed and good size Pullman berth. 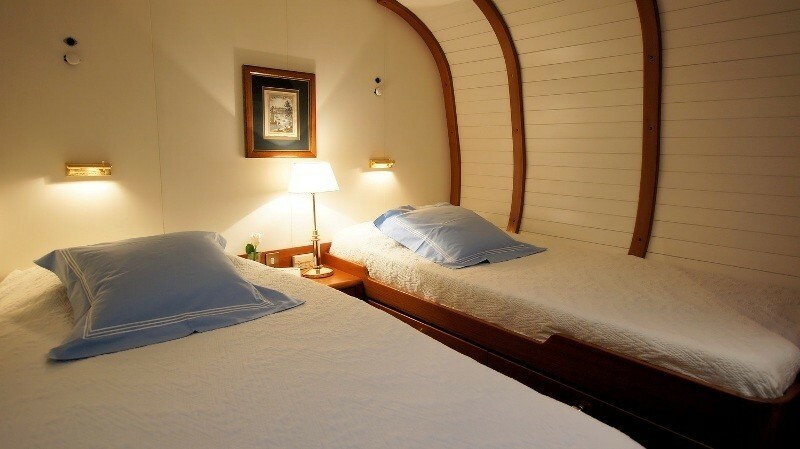 Leading off the salon is a Nanny/Staff/ or children’s cabin. 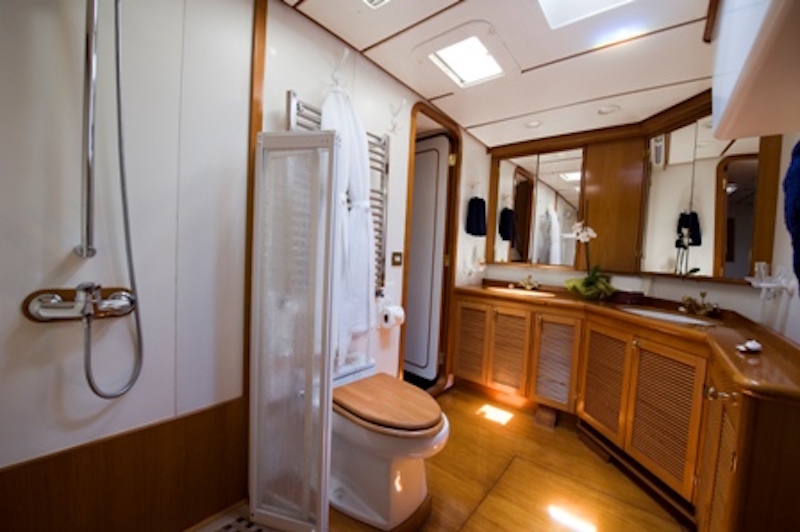 It is a good size cabin with large single and a fixed upper berth and compact WC/Shower (this cabin has no AC but is well ventilated). 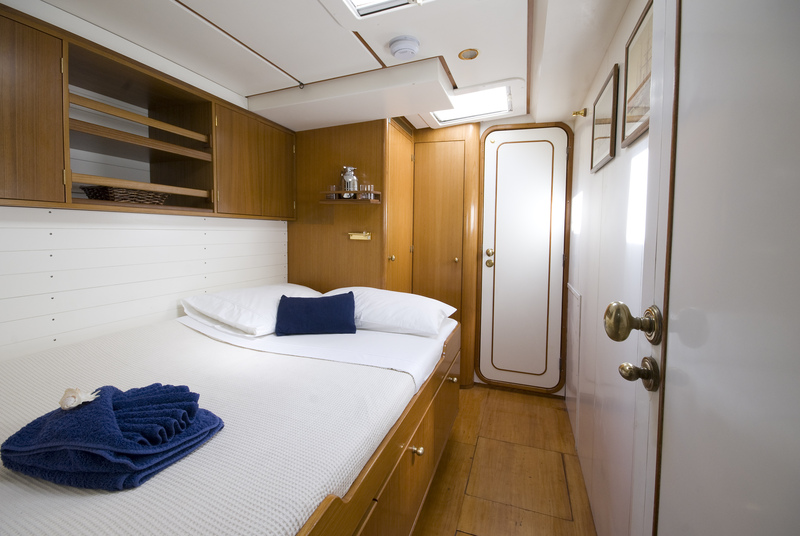 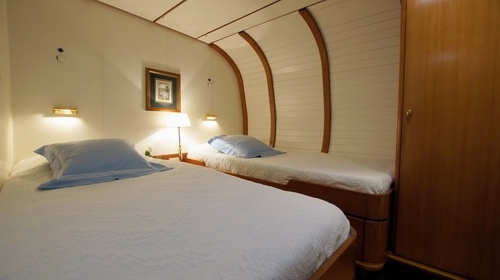 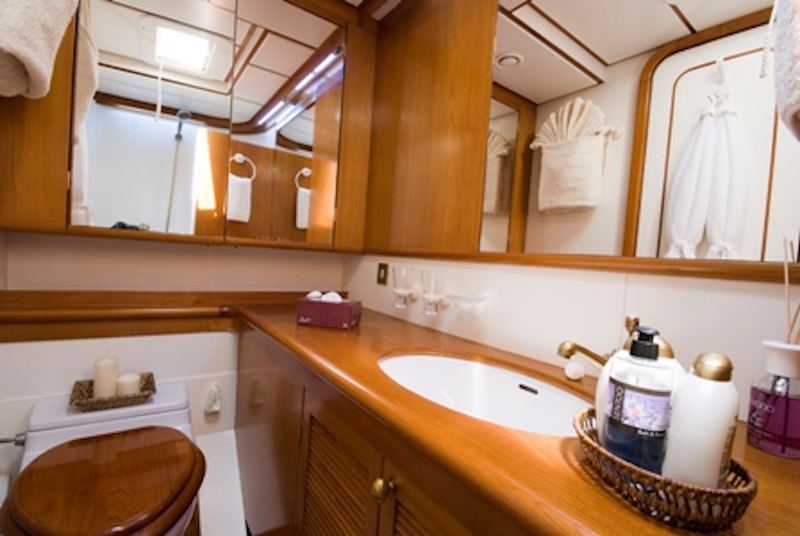 All other cabins are ensuite and have individual air conditioned controls. 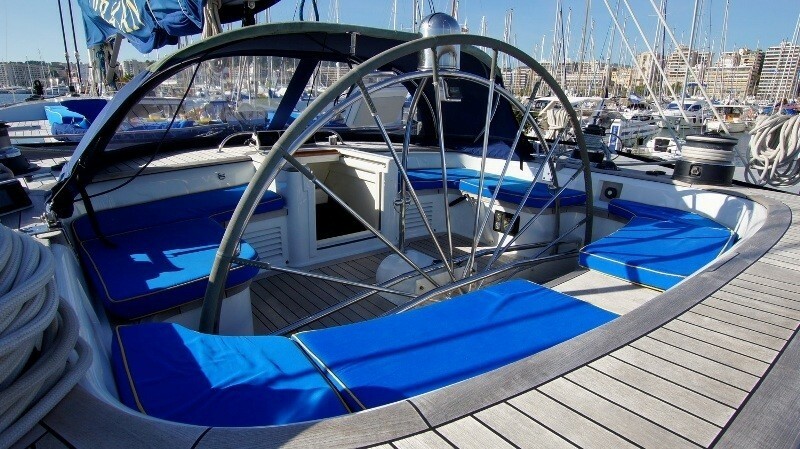 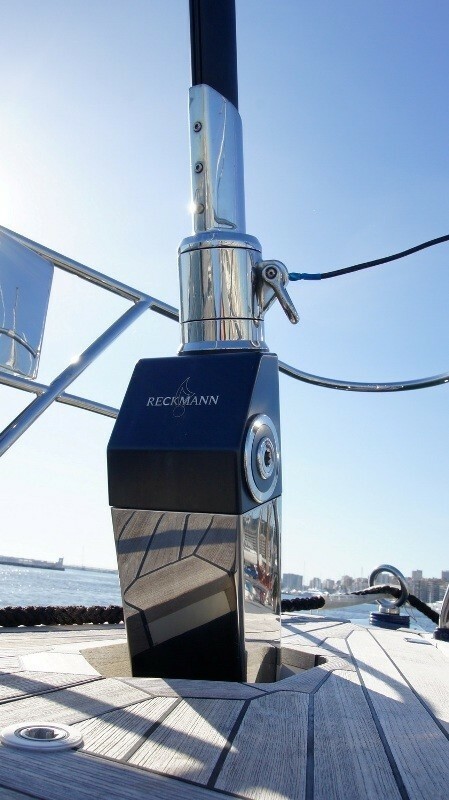 She has many deck hatches and is well ventilated for summer cruising.